Are carried into the mosquito gut, along with gametocytes. These antibodies then react with sexual stage antigens and interfere with the fertilisation process, thus blocking transmission of malaria (Carter et al., 1984). Experiments in animals suggest that antibodies to a 25 kDa gametocyte antigen block transmission in membrane feeding experiments (Barr et al., 1991) and several other candidates are under consideration. Even though this type of vaccine would confer no direct benefit to the individual, it is hoped that it would reduce the prevalence of malaria in the community and have a significant effect on morbidity and mortality (Kaslow, 1997). The provision of safe water and sanitation and the prevention of infectious diseases by immunisation have been the triumph of the twentieth century. This chapter is concerned with specific acquired passive and active immunity in relation to travel and routine vaccines, noting the International Health Regulations adopted by the World Health Organization (WHO). The purpose of these Regulations is to help prevent the international transmission of diseases and, in the context of international travel, to achieve this with the minimum inconvenience to the traveller. The vaccination requirements for international travel are listed conveniently in WHO's International Travel and Health publication, and are considered in greater detail in this and the chapters relating to particular infections. These are used when live attenuated vaccines are not available or where reversion of an attenuated strain to wild type occurs with relative ease. While killed vaccines are noninfective, they are generally less immunogenic (except toxoids) and several doses and boosters are required. Procedures used for inactivation include formaldehyde, -propriolactone and, more recently, a variety of ethylenimines and psoralens for viruses. Bacteria are killed or inactivated with formaldehyde, phenol acetone or by heating. Both inactivated and live vaccines may be given safely concurrently, although different anatomical sites ofvacci-nation are recommended. A number of general principles must be considered and several factors must be assessed before vaccination, and it is important to distinguish between true contraindi Allergy to protein (e.g. eggs) and to other components of the vaccine (e.g. antibiotics such as streptomycin and neomycin). A definite history of a severe local or a general reaction to a preceding dose of the vaccine. These vaccines are only indicated for travellers to certain specific destinations in some countries. The consultation should thus ascertain the exact itinerary and the eventual indications. These vaccines are contraindicated in severely immunocompromised individuals. Such travellers to an area for endemic yellow fever should be recommended to change the itinerary or to follow strictly physical mosquito precautions if the trip is unavoidable. When yellow fever vaccine is required to cross a border but no portion of the trip would be in an infected area, a certificate The administration of BCG vaccine to immunocompromised persons is contraindicated because of its potential to cause disseminated disease (USPHS IDSA, 1999). Recent advances in immunology, molecular biology and genetic engineering have stimulated new approaches to the development of vaccines. Scientists are now able to identify more precisely the process by which immunity is acquired to identify the antigenic components which induce protective immunity and to produce relevant biological materials through the cloning of genes or the synthesis of peptides. These developments hold out the prospect of replacing the crude products of < trai ditional vaccines with well-defined antigens. There is also the hope that effective vaccine', can be developed against malaria and other parasitic infection . These biomedical advances have made possible a new generation of vaccines with increased efficacy, safety profile and affordability. Vaccination against P. falciparum is the intervention that is most likely to reduce malaria-associated severe morbidity and mortality in infants and young children in areas with the most intense transmission and to reduce the risk to non-immune travellers to endemic areas. The rationale for developing a malaria vaccine includes prevention of infection (pre-erythrocytic vaccines), prevention of disease (blood-stage vaccines) and reduction of transmission (transmission blocking vaccines) (Miller and Hoffman, 1998). Refrigerators must contain a maximum-minimum thermometer and refrigerators designed for vaccine storage should be used. Vaccines should not be stored with food and a secure supply of electricity should be used. Vaccines must not be kept at temperatures below 0 C and the maximum-minimum temperatures must be recorded daily. Reconstituted vaccine must be used within the recommended period, usually within 1-4 h, according to the instructions of the manufacturer. Spent or partly used vials and unused vaccine must be disposed of safely, preferably by heat sterilisation or by incineration. The disposal of unused attenuated live vaccines requires special care. The safe disposal of syringes, needles and other sharps without hazard to others and to children is imperative. It is generally agreed that it is no longer desirable to vaccinate populations routinely against smallpox nor is it necessary for governments to require a certificate of smallpox vaccination from international travellers. Vaccine stocks Even though most people are firmly convinced that smallpox has been eradicated, stocks of vaccine are still being held. This is a wise precaution in support of the policy of suspending routine vaccination. Furthermore, there is some concern that because populations are now not immunized, the variola virus may be a tempting candidate for biological warfare. Kirsch, Matthias, Black, Peter McL. (ed.) Angiogenesis in Brain Tumors. 2003. ISBN 1-4020-7704-1. Keller, E.T., Chung, L.W.K. (eds) The Biology of Skeletal Metastases. 2004. ISBN 1-4020-7749-1. Kumar, Rakesh (ed.) Molecular Targeting and Signal Transduction. 2004. ISBN 1-4020-7822-6. Verweij, J., Pinedo, H.M. (eds) Targeting Treatment of Soft Tissue Sarcomas. 2004. ISBN 1-4020-7808-0. Finn, W.G., Peterson, L.C. (eds) Hematopathology in Oncology. 2004. ISBN 1-4020-7919-2. Farid, N. (ed.) Molecular Basis of Thyroid Cancer. 2004. ISBN 1-4020-8106-5. Khleif, S. (ed.) Tumor Immunology and Cancer Vaccines. 2004. ISBN 1-4020-8119-7. Balducci, L., Extermann, M. (eds) Biological Basis of Geriatric Oncology. 2004. ISBN Abrey, L.E., Chamberlain, M.C., Engelhard, H.H. (eds) Leptomeningeal Metastases. 2005. The complex dynamics of infectious disease can result in counter-intuitive outcomes to attempts at control inappropriate timing and coverage of a vaccination or community treatment program may make an existing public health problem worse. This unwanted outcome is a result of the complex and inherently non-linear interactions between populations of hosts and the pathogens which infect them (Anderson and May, 1979 Anderson, 1994 Bundy et al., 1995). Such non-linearities lead to intervention outcomes which appear counter-intuitive and are difficult to predict, e.g. partial vaccination coverage may have little effect on infection incidence overall but may make infection more prevalent in different (older) age classes, with potentially disastrous public health consequences if the infection is rubella (Anderson and Grenfell, 1986). Environmental programs, (2) discouragement of pregnancy at advanced ages through community education and family planning, (3) periconcep-tion folic acid supplementation or multivitamin fortification of basic foodstuffs, (4) rubella vaccination, (5) avoidance of alcohol consumption and smoking during pregnancy, and (6) prenatal and (7) prepregnancy (preimplantation) diagnosis. The decision to adopt any of the available preventive programmes depends on the differences in health services development, ethnic distribution of congenital disease, and the local attitudes to genetic screening and termination of pregnancy. For example, induced abortions are still not permissible in many countries on eugenic grounds. On the other hand, an increasing number of countries are gradually permitting prenatal diagnosis and termination of pregnancies for medical indications even in some strict religious settings. The potential for emergence of new infectious diseases and re-emergence of old ones has increased in recent years. Many factors have contributed to this threat, of which the rapid increase in international travel is one. Other factors are the globalisation of the food industry, and social and environmental changes such as deforestation and rapid urbanisation. In addition, the widespread and inappropriate use of antibiotics has led to the emergence of many resistant infectious diseases. At the same time, successful vaccination programmes and other control measures have brought some diseases close to eradication. At a health centre, for example, each service unit should collect and display statistics on high priority problems. The section of the clinic, which treats sick patients, could, for example, show cases of acute diarrhoea in a simple graph so that comparisons can be made day by day, week by week, and month by month. These statistics may alert the staff of the institution to sudden changes in the number of cases of a particular disease and it could provide some assessment of the performance of the services. The child welfare clinic should display the number of children they have immunized to show both the uptake over time (by comparing vaccination and birth rates) and the proportion completing the course (by indicating the numbers entering and finishing the programme). Passive immunisation with normal human immuno-globulin, or in selected circumstances active immunisation with hepatitis A vaccine, is indicated as soon as possible after exposure and within 2 weeks to all household and sexual contacts, and for those exposed to contaminated food. Immunoglobulin should be given to all classroom contacts in daycare centres (children under 5 years old), and, if there are infants in nappies, immuno-globulin should be given to all potentially exposed children and staff in the centre. Immunoglobulin has been used effectively for controlling outbreaks such as in homes for the mentally handicapped. It is not indicated for contacts in the usual office or factory environment or in schools. Hepatitis A vaccine has, however, been shown to be effective for the control of hepatitis A outbreaks in schools. The amino acid sequence of the nucleocapsid protein is highly conserved among different isolates of HCV. The next domain in the polyprotein also has a signal sequence at its C-terminus and may be processed in a similar fashion. The product is a glycoprotein, which is probably found in the viral envelope and is variably termed E1 S. The third domain may be cleaved by a protease within the viral polyprotein to yield what is probably a second surface glycoprotein, E2 NS1. These proteins are of considerable interest because of their potential use for tests for the direct detection of viral proteins and for the development of HCV vaccines. Nucleotide sequencing reveals that both domains contain hypervariable regions. The need for effective malaria control remains great as malaria continues to threaten populations in many parts of the world. Obstacles, such as increasing drug resistance among malaria parasites and increasing insecticide resistance among mosquitoes, have made control more difficult and heightened the need for effective vaccines or improved control measures. This may be achieved by active or passive immunization. Protection may also be obtained by the use of antimicrobial drugs, for example chemo-prophylaxis is used for the prevention of malaria, meningococcal meningitis and bacillary dysentery. Mass campaigns are sometimes indicated for dealing with acute epidemics or as a method of controlling or eradicating endemic diseases. Any vaccine or drug used for a mass campaign must be effective, safe, cheap and simple to apply. Following the emergency operation of a mass campaign, the programme should be integrated into the basic health services of the community. Assists health authorities to design, implement and evaluate their immunization programmes, train their health personnel and acquire vaccines and other essential supplies. UNICEF has included immunization as an important component of its Child Survival Programme (p. 326). These organizations are also involved in research aimed at solving the problems encountered in running the immunization programmes. For example, live vaccines must be refrigerated to maintain their potency otherwise they would deteriorate. WHO has tackled the problem of ensuring a continuous 'cold chain' from the point of manufacture of the live vaccine to its delivery to children in the most remote rural areas of hot tropical countries. A new initiative, the Global Alliance for Vaccine Initiatives (GAVI) has expanded the base of support for global immunizations by bringing together other stakeholders including the private sector. The chapter on biotechnology drugs enlarges on this subject in more detail, but suffice it to say here that vaccines, antibodies, proteins, peptides, and gene therapies all now exist. These biological drugs bring with them specific, regulatory, clinical trials and manufacturing difficulties. Gene therapy, in particular, carries human safety risks that do not apply to other classes of therapy, e.g. 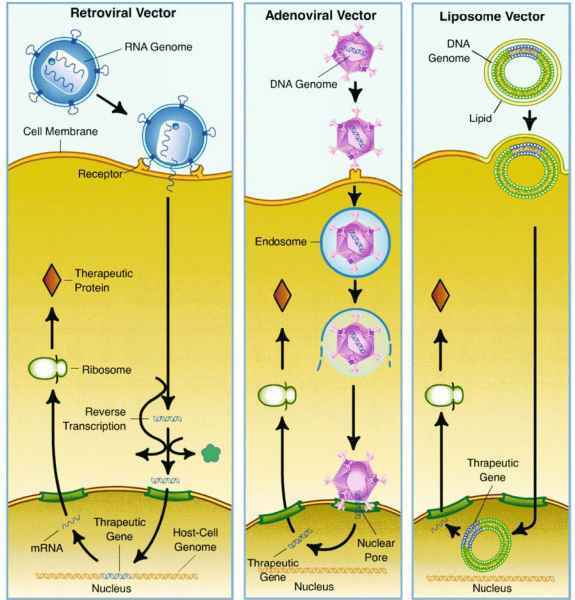 the infective nature of some types of vector that are employed, and the potential for incorporation of the test genetic material into the genome in males, leading to expression of gene products in offspring. Studies on y 8 T lymphocyte lines suggested that these cells might be important in modulating the CD4+ T lymphocyte response to Babesia antigens (Brown et al., 1994). Subsequent studies have identified five different antigenic groups of B. bovis merozoite proteins which stimulate proliferation of Th clones. The authors suggest that these antigens are potentially useful for the construction of a vaccine (Brown et al., 1995). Vaccines Patients must always receive killed virus vaccines after transplantation. 1. Patient must avoid children who have received the live polio vaccine for up to 1 month the child will secrete this vims through the G1 tract. Do not come in contact with child's stools (i.e., changing diapers). 2. Examples of live or weakened vaccines 3. Examples of killed virus vaccines Before discharge, signs and symptoms of rejection, adverse reactions to medications, recommended routine screening, vaccine recommendation, exercise, and healthy living guidelines are reviewed. Tables 6.1 and 6.2 outline a formal, posttransplant medication teaching plan for a renal transplant recipient. Additional reinforcement or new teaching methods can be instituted to avoid complications. Outpatient clinic visits present an excellent opportunity to assess the patient for changing needs. As the patient recovers, new information may be introduced. If there is a marked increase in blood requirement, hyper-splenism should be suspected. Any thalassaemic child with an easily palpable spleen probably has some degree of hypersplen-ism. Splenectomy should be carried out as late as is feasible and, if possible, not in the first 5 years because the incidence of post-splenectomy infection seems to be particularly high in early childhood. Apart from increased transfusion requirements, the presence of neutropenia or thrombocytopenia is a useful guide to the presence of hypersplenism. Pneumococcal vaccine should be administered before surgery, and after the operation children should be maintained on prophylactic penicillin indefinitely and the parents warned about the danger of overwhelming infection. Because of this risk it is becoming customary to also immunize these children against Streptococcus pneumoniae and Haemophilus influenzae. All meat dishes should be either cooked and eaten immediately or refrigerated until required. Reheating of foodstuffs should be avoided and in New Guinea special precautions should be taken when pig-feasting occurs. A successful vaccine has been developed with a clostridial toxoid prepared from C cultures. As shown in Figure 10.2, options for the prevention of travelers' diarrhea include education, vaccination and chemoprophylaxis with either BSS-containing compounds or antibiotics (Ericsson and Rey, 1997). Although vaccination is a promising option, vaccines against all enteropathogens that cause travelers' diarrhea will probably never be possible or cost-effective owing to the large number of strains that cause disease. Promising vaccines against ETEC and Shigella are not available for routine use (Ericsson and Rey, 1997). 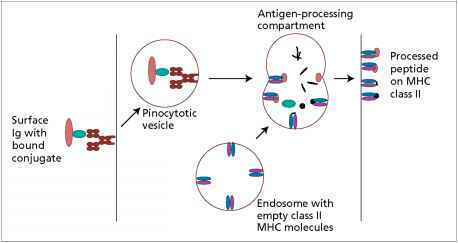 Gen-antibody and antigen-T cell interactions, which recognise both surface and internal foreign antigens, and of the induced immunological memory by active immunisation with attenuated live vaccines and killed (inactivated) vaccines. Live vaccines induce a cell-mediated response associated with a vigorous amnestic response, whereas inactivated vaccines initially raise a humoral response that is less efficient in terms of immune protection and often requires the administration of several doses of vaccine as part of the primary course. Consequently, for inactivated vaccines, long-lasting immunity is achieved by stimulation of both the cell-mediated and humoral response by the administration of regular boosters. Immunological or biological memory is dependent on prior selection or priming of lymphocyte clones with specific receptors, so that persistence of the microbial antigen or re-exposure to it maintains, activates and indeed expands the relevant immune functions. Anaphylactic reactions to a vaccine or to a vaccine constituent are an absolute contraindication to the use of that vaccine or to vaccines containing that constituent. A problem which is encountered frequently is allergy to eggs. Hypersensitivity to egg is a contraindication to influenza vaccine, and an anaphylactic reaction to egg contraindicates influenza and yellow fever vaccines. There is increasing evidence that MMR vaccine can be given safely to children even if they had previously had an anaphylactic reaction after eating food containing egg, but strict caution is advised and day admission to a hospital for the procedure is recommended. With the standards regulating clinical experimentation in general, notably in such allied fields as experimentation on vaccines and immunobiological products. They point to the risks of gene therapies being treated entirely separately from biomedical research rather, one should seek to identify the ethical and biosafety dimensions that are specific to these therapies by drawing in extensive interdisciplinary expertise. Immunisation with Hib vaccine has now become a component of the routine childhood immunisation programme in industrialised countries, where it is administered simultaneously with the combination vaccine DTP. As a conjugate polysaccharide vaccine, it provides enhanced immunogenicity which is of particular importance in providing protection for infants under the age of 4 years, the highest risk group. It is also recommended for use in asplenic or immunosuppressed children and adults, in whom a single dose of vaccine will protect against serious respiratory disease. This may well be relevant for such individuals travelling where the risk of exposure may be high in developing countries. Booster doses are not recommended. The vaccine is administered intramuscularly as a primary course of two 0.5 ml injections given 4-12 weeks apart, which will provide protection for 1 year. A third dose is given 9-12 months after the second dose and confers immunity for 3 years. Booster doses are subsequently recommended at 3-yearly intervals for those at continued risk. Serious side-effects are uncommon. A specific immunoglobulin preparation is available for both preexposure and post-exposure use where appropriate. The vaccine is available in the United Kingdom on a named-patient basis only, and additional methods of personal protection should be afforded by the use of insect repellents and appropriate clothing. Various strategies have been used to target vaccine antigens to the gut-associated lymphoid tissues, such as microspheres prepared from various polymers. Certainly in mice the size of the microspheres has to be less than 5 pm for them to be transported within macrophages through the efferent lymphatics56. Transcytosis through Peyer's patches is most suited for highly potent compounds since there are a limited number of Peyer's patches, hence the overall surface area is relatively small. Patch tissue is rich in lymphocytes, thus substances which interact with lymphocytes are best targeted to Peyer's patches when using the oral route57. During 2006, a vaccine for the human papillomavirus (HPV) types most commonly associated with cervical cancer and genital warts was introduced for women (Saslow et al., 2007). It remains to be seen whether recommen dations will be developed to vaccinate young women in youth detention, as there are recommendations for vaccination of adolescents for other infections in this setting. At present, the treatment of advanced and metastatic medullary thyroid carcinoma is unsatisfactory. Novel alternative therapeutic approaches are under investigation and several experimental studies are already ongoing 173 . Tissue-specific cancer gene therapy has been evaluated for several years. Adenovirus-mediated tumor-specific combined gene therapy using the herpes simplex virus thymidine ganciclovir system and murine interleukin-12 seems very promising. An effective growth suppression of tumor has been observed in rat models affected by medullary thyroid carcinoma and treated with this system 174 . Other interesting approaches are based on immunotherapy, for example stimulation of immune response and vaccination with tumor lysate 175,176 . Nuclear receptors function in plants. Agricultural applications of orthogonal li-gand-nuclear receptor pairs include conditional expression of any RNA or protein, including short interfering RNAs to block gene expression, human vaccine proteins, insecticidal proteins and disease resistance genes. Expressing insecticidal proteins and disease resistance genes only at specific times (rather than constitutively) would likely decrease the occurrence of resistance developing in the environment. The reason most often cited for the lack of adverse event reporting is uncertainty about the causality of an adverse reaction. Although confirmation of an ADR is ideal, it is often not feasible. The FDA readily acknowledges this limitation and continues to encourage the reporting of all suspected adverse drug reactions through its MedWatch program. Detailed instructions for reporting adverse events associated with drugs, medical devices, vaccines, and veterinary products is provided online by the FDA (http www.fda.gov medwatch report hcp.htm). The essential components of an ADR report are listed in Table 25.6. The FDA is particularly interested in receiving reports of adverse reactions involving new chemical entities and serious reactions involving any medical product. Immunity to measles is essential for all travelers. Many young adults require immunization (or reimmunization) for protection. The specific recommendations for the age groups vary depending on the traveler's country of origin and epidemiology of measles in that country. The measles vaccine as well as the MMR (measles, mumps, rubella combination) are live vaccines and contraindicated in pregnancy. Due to the increased incidence of measles in children in developing countries, its communicability, and its potential for causing serious consequences in pregnancy, some health providers would advise delaying travel of a nonimmune woman until after delivery, when the vaccine can be given. If a documented exposure to measles occurs, immune globulin may be given within a 6 day period to a pregnant woman to prevent disease. It is important to remember that the immune globulin may not be available in many high-risk countries. As has been mentioned, the pulmonary route has been used to achieve systemic delivery. A product containing ergotamine tartrate is available as an aerosolized dosage inhaler (360 pg per dose) and has the advantage of avoiding the delay in drug absorption due to gastric stasis associated with migraine. In vaccine delivery, aerosol administration of para-influenza Type 2 vaccine has been found to be more effective than subcutaneous injection49). Penicillin reaches the bloodstream in therapeutic quantities after pulmonary delivery, but kanamycin is poorly absorbed from the lung so can only be used for local drug delivery. Biomedical research to develop new and improved tools - drugs, vaccines, diagnostic methods and vector control measures In situations where more effective control of a disease can be achieved through efficient application of existing technologies, health systems research can provide useful answers. For example, although tetanus neonatorum can be prevented by a simple, affordable measure of toxoid immunization of pregnant women, about a quarter of a million children die each year from this preventable disease. Health services research would help to identify the under-served communities and develop strategies for ensuring that all pregnant women receive this simple and cost-effective intervention. On the other hand, for HIV AIDS, there is an urgent need for biomedical research to discover and develop effective vaccines and new drugs to replace the current technologies that are crude, cumbersome and costly. Finally, gene therapy using vectors that carry cytotoxic genes (suicide gene therapy) has been utilized to treat thyroid cancer cells in vitro, and,by direct tumor injection,in vivo. The best reported method is to induce thyroid cancer cell expression of thymidine kinase, which will uniquely sensitize the cells to treatment with the antiviral drug ganciclovir 49 . This approach has been used in xenografts as independent therapy, and also in sensitizing the cells to the effects of external irradiation. Gene therapy approaches that combine cytotoxic genes with immunomodulators have also been reported 50-52 . Tumor vaccines offer another immunotherapy model. This group of agents targeted against cell survival therefore represent an attractive option to sensitize cells to the effects of radiation and or chemotherapy. Although an exhaustive review of tumor immunology is beyond the scope of this chapter, current concepts, including antigen presentation and the effector arms of the immune system, will be discussed to help understand the immunization strategies undertaken in the many preclinical and clinical vaccine trials for prostate cancer. Immunotherapy remains a major area of interest for thyroid cancer, and for a number of other malignancies 58,59 . The use of tumor vaccines with or without agents to enhance immune responses, or to induce thyroiditis in patients on chemotherapy using interferons, are avenues of potential treatment for thyroid cancer in the future. A rotavirus vaccine, a rhesus-based rotavirus vaccine-tetravelent (RRV-TV), has been licensed in the USA and elsewhere. RRV-TV is a live attenuated oral vaccine which incorporates a rhesus monkey rotavirus strain (with human serotype G3 specificity) and three singlegene human-rhesus reassortants. Immunisation early in life, which mimics the child's first natural infection, will not prevent all subsequent disease but should prevent most cases of severe rotavirus diarrhoea including hospital admission for treatment. The US Advisory Committee on Immunization Practices (1999a) recommends routine immunisation with three oral doses of RRV-TV for infants at the age of 2, 4 and 6 months. This vaccine can be administered together with DPT, Hib vaccine, oral polio vaccine, inactivated polio vaccine and hepatitis B vaccine. RRV-TV is effective but has now been withdrawn owing to a number of adverse events. Vaccines against other viruses causing gastroenteritis are not available. No single intervention is 100 protective, and a multi-faceted approach to the prevention of insect-borne diseases is needed. Vaccination and chemoprophylaxis are not available for many diseases transmitted by insects thus, the avoidance of bites by mosquitoes and other insects should be a primary focus. Malaria Vaccines The initial optimism for the usefulness of a South American malaria vaccine has waned, as studies in other populations showed very limited efficacy in children. New DNA vaccines offering a combination of antigens in a prime-boost technique now hold great promise. Vaccines could be ready for clinical trials in children during the first few years of the twenty-first century. Decisions, both large and small, relating to healthcare are now made based on information gathered from economic and humanistic outcome evaluations. The information gained from valid outcome measures can be used on a national level to allocate expenditures for treating various sectors of the population (e.g. the elderly, neonates, etc.) or to determine which programs will receive financial resources (e.g. vaccine programs vs. acute influenza treatments). Outcome information can be used to help make decisions regarding the inclusion or exclusion of drugs on formularies. Complete information about the economic, humanistic and clinical impacts that medications have on specific patients can help healthcare providers make better prescribing decisions. Vaccine fields has shown that viruses can be partitioned from protein contaminants based on charge difference. Thus, it can be surmised that a flow through anion exchange unit operation conducted in neutral, low conductivity buffers removes negatively charged viruses from positively charged mAbs by binding them with high avidity while the mAb flows through. 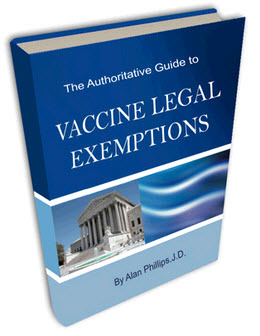 The Revised Authoritative Guide To Vaccine Legal Exemptions will be instantly available for you to download right after your purchase. No shipping fees, no delays, no waiting to get started.